Methylcobalamin: Vitamin B-12 (cobalamin) is a water soluble B vitamin that is essential for energy, metabolism, formation of healthy blood cells and DNA synthesis. 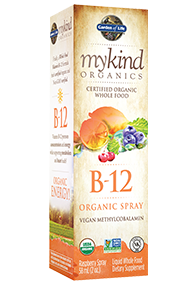 Methylcobalamin is the active, natural form of B-12 (equivalent to the B-12 in your body). Vegans and Vegetarians - B-12 is found primarily in meat and dairy. Older Adults - 30% of those over 50 have increased unfriendly intestinal bacteria, preventing absorption of B-12. Pregnant Women - nutrients travel from mom to baby causing increased demand on mom. Any deficiency can affect both mom and baby. 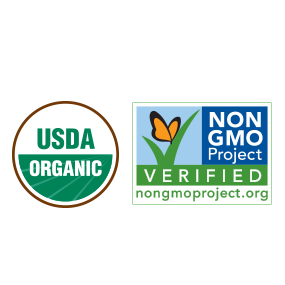 mykind Organics from Garden of Life offers a full range of Certified USDA Organic, Non-GMO Project Verified supplements made only from real food-over 30 fruits, vegetables and herbs. Absolutely free of synthetic binders and fillers, meaningful amounts of vitamins and minerals are carefully combined to benefit specific dietary needs. All of this goodness is wrapped up using Garden of Life's patent-pending Clean Tablet Technology - an entirely new way to make vitamins using only Certified USDA Organic, Non-GMO Project Verified foods. None of our Clean Tablet Technology ingredients come from soy or corn. myKind Organics - the first of its kind.